Boston College’s football team isn’t off to the start it anticipated, but a familiar bird to Worcester gridiron fans has given the Eagles reason to be hopeful about the future. Redshirt freshman Davon Jones, of Worcester and who played his high school football at St. John’s in Shrewsbury, is emerging as the team’s most physical — and maybe best — running back. It wasn’t that long ago that Jones was nearly an afterthought at The Heights. 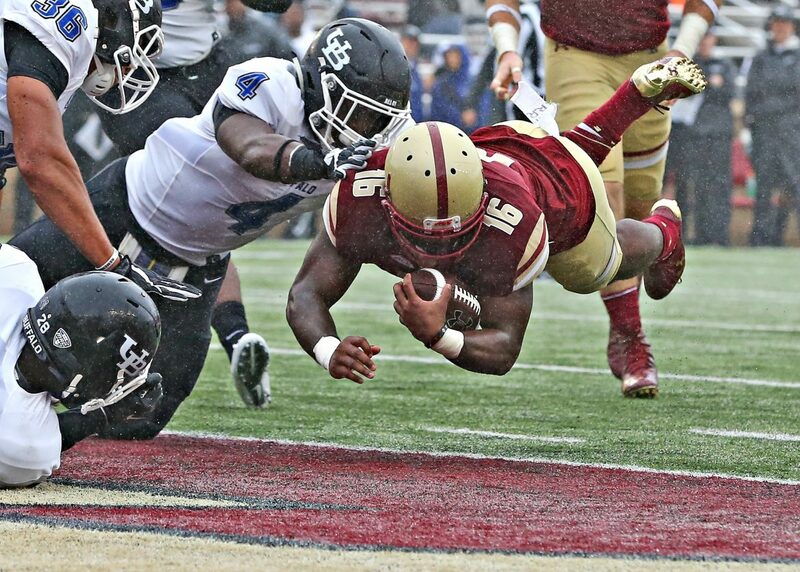 Davon Jones has dived right into his new role as one of BC’s top running backs. Jones came to Boston College as a mostly unheralded two-star recruit [with some FCS-level interest], brought in to add toughness to the Eagles’ secondary as a safety. Plans quickly changed, thanks to a little coach’s intuition, as Jones was moved to running back during the spring of 2016, after a redshirt season spent at defensive back. The Eagles 3-3 (0-3 in ACC play) entered a two-week bye after last weekend’s 56-10 home loss to No. 3 Clemson. Davon Jones was a hard-hitting defensive back for St. John’s. After a year of lifting and a spring of learning a new position, Jones, a communication major, wasn’t even listed on the depth chart at running back to start the 2016 season. In fact, he’s still nowhere to be found on Boston College’s gameday depth chart, but Jones ranks second on the team in rushing yards, behind only senior Jon Hilliman, and first in yards per carry, at an extremely efficient 4.7 pace. Jones has also seen his workload increase as the season has progressed, and he has quickly earned the praise, and trust, of his coaches. After carrying the ball only once in BC’s season-opening loss in Ireland against Georgia Tech, Jones has earned 12 or more carries the last three weeks, and has delivered with 191 yards and a score over that span. It’s true that slowing down Jones is easier said than done, as evidenced by Jones’ ability to avoid negative plays. On his 46 carries this season, only one has gone for negative yardage, and even that play was only the loss of a yard. Jones’ physicality is no surprise to anyone who played with him when he was an all-state safety and wide receiver at St. John’s. Back then, Jones was known as one of the biggest hitters around, and developed a reputation as someone you didn’t want to catch the football in front of. On top of that, he served as an emotional leader for the Pioneers, and someone who never let the team rest on its laurels. Davon Jones won a 2013 state title with the Pioneers. It’s been a remarkable journey for Jones in such a short period of time. 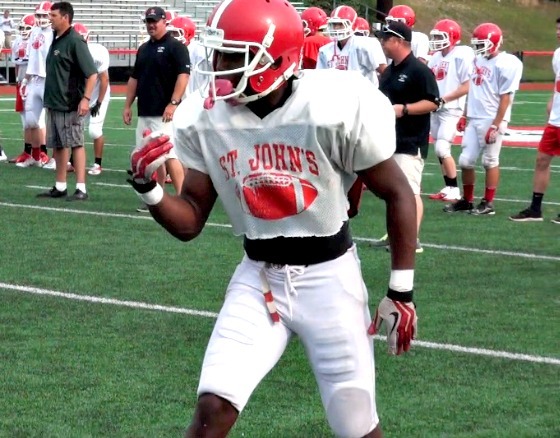 After attending middle school at the all-boys Nativity School of Worcester, Jones was an instant star at St. John’s, earning a starting safety spot as a freshman. For a program as talent-laden as St. John’s, starting as a 14-year old is nearly unheard of, but Jones not only started, he excelled. It was the culmination of an excellent season that saw Jones make big plays as both a safety and receiver for the Pioneers, including a huge game against Springfield Central in the state semifinals, and a collection of big hits heard around Central Mass. 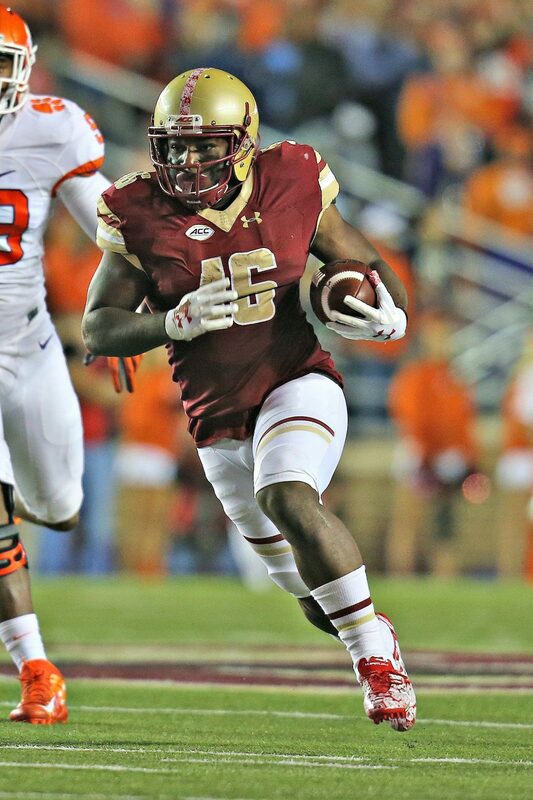 Now serving as the power back in Boston College’s offense, Jones knows his future is bright. Hilliman, BC’s speed back, will graduate after this season, and no other back on the current roster has Jones’ experience or physicality. For the next three seasons, Jones could become the unexpected face of Boston College football. 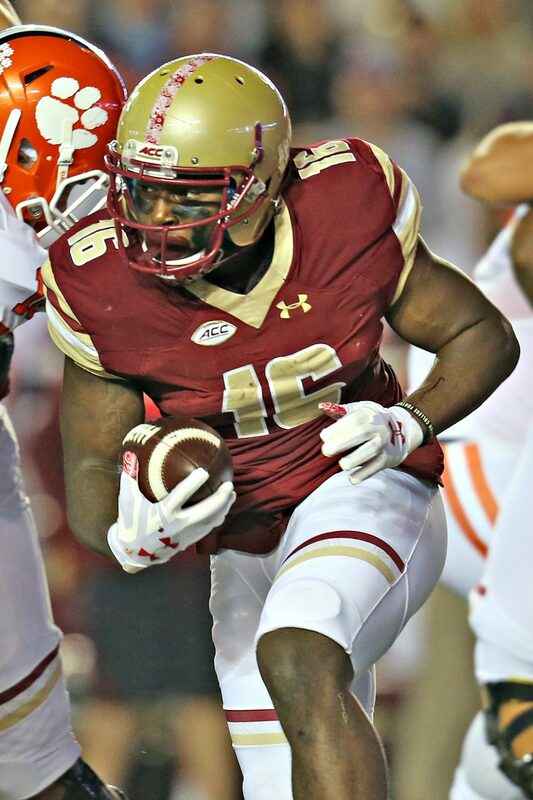 Jones and his Boston College teammates will be back in action next Saturday for their homecoming game against Syracuse at Alumni Stadium. Kickoff is scheduled for 12:30 p.m.; the game can be seen locally on myTV38 Boston.